Now, let’s cruze through the various designs and their more specific traits. -	Available in 4 colors: Blue, Red, Silver, White, Purple and Black. Although this is quite a lot already the Cruzer series doesn’t stop here. Later I will bring to you Cruzer memory sticks with stylish extra kicks. As for the ones listed here: what probably speaks most for them is their strong performance and extreme durability. Believe it or not, I’ve actually come across several users on twitter who accidentally had their SanDisk Cruzer in the laundry. And in every single case the drive was still working fine afterwards. To me that was pretty mind-boggling. Especially the fact that of all brands, it’s the Cruzer ending up in the washing machine! Could it have something to do with its namesake and its association with water? Great stuff! Thank you Dennis for all the enthusiasm to offer such helpful information here. 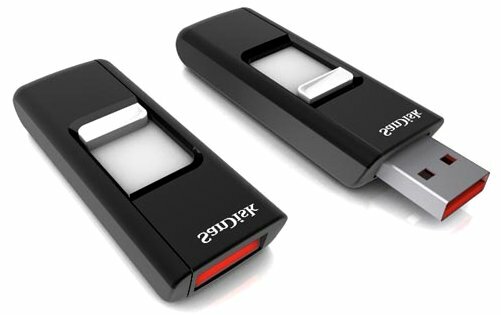 This article will help me to choose and purchase SanDisk Cruzer flash drive. What’s the difference between USB memory sticks and flash drives, or are they basically the same thing? I need to buy something to back up files on my laptop but aren’t sure what’s the best option to go for. There is no difference, Terry. ‘USB memory sticks’ is just another term for USB flash drives. The first is preferred by the British language while the latter is favored by Americans. You can see my ‘magic memory’ post for more name variations. As for tips, well it all depends on what you want to go for – high capacity, fast transfer rate, sturdiness etc etc. Just take a look around at the different brands and models I have blogged about. Just so you know though, the Cruzer would already be a good bet. Had several of these in the past and found myself losing the caps. The ones with the usb connector that flicks out avoids the need for a cap. SanDisk is a really good brand, i recommand it warmly ! I would rather choose quality over quantity. There are USB’s which are less in price but the quality is questionable. SanDisk seems to be a quality end. Sandisk brand is a high quality products. I have a USB before I compared it to other USB and Sandisk is really amazing. .-= Poker Chairs´s last blog post ..Other new Poker Items =-. SanDisk is an excellent make – in fact I would say possibly the best! Scan Disk has proven it’s good quality for so many years. Heard a lot of positive feedback about it and even proved myself. You need to chose the best usb that can store big file and would last for many years. Scan disk is a must have USB. I have a Sandisk flash drive right now and it works well and it is really cool. My flash drive is password protected… the coolest flash drive I ever had. This tool is really effective in saving all my reports since I am working as a virtual assistant from a business in the US. .-= virtual assistant´s last blog post ..How to Utilize Virtual Assistants to Help Create- Market and Sell Your ‘4HWW’ Style Muse! =-. sandisk makes great projects i have their 32gb drive and use it for everything! .-= health insurance quotes´s last blog post ..Aetna Makes Positive Change =-. Cruzers have long life span. I have mine for more than 2 years, and still it’s working. I also have some Kingstons but I prefer Cruzer. so cool. i would love to have one. Memory sticks are effective nowadays. We can easily save heavy file size files. .-= virtual office assistant´s last blog post ..fdsgsd =-. go to Windows Explorer (just click on a file) and make sure that you have a folders view bar (under ‘view’ in the menu). Then locate the drive letter assigned to your sandisk cruzer and then drag and drop the files you want onto that letter. cruizer micro is relly good flash because of its high speed! 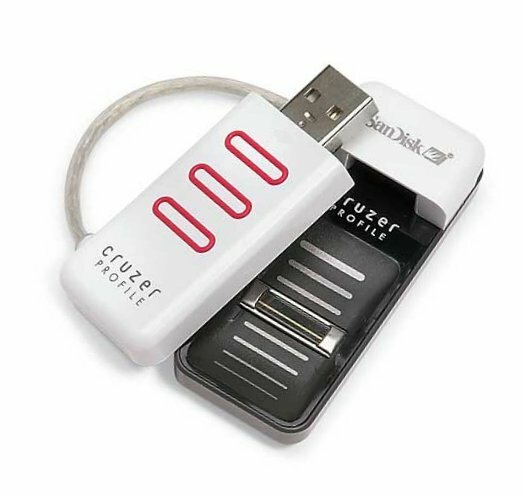 Can someone tell me the difference between “Cruzer Blade USB Flash drive” and “Ultra Backup USB Flash drive”? DT, do you know what the old design of the cruzer looks? Because it is stated on the sandisk website that it is the new design. where exactly did you read that? AFAIK, the most recent design for the regular Cruzer is the one you can see at the top of this page – according to SanDisk’s website this design is from March 2009. Thank you for useful information. I didn’t even know that there is a huge variety of Cruzer memory sticks. As you can see Jasper, that is the same design. Nothing has changed. As for me than I prefer corsar drive-flash. But Cruzer is also cool too. What’s the difference between USB memory sticks and flash drives, or are they basically the same thing? they’re the same. The only difference is that the first term is more popular in British and the latter in American English. The Cruzer UBS Disk is really wounder full to have for usage. I think that this kind of USB is really good to know about and has so many things to get know about. Nice looking USB’s but I remember reading an article about SanDisk’s plan of introducing virus-proof USB’s I’m not sure if theses are what SanDisk is talking about. Is the maximum capacity of all flash drives 32 GB? What is so magical about 32 GB? Why can’t we have flash drives any larger, for example 1 TB? Is that too large a capacity to ask for? .-= propane fire pit´s last blog post ..Landmann Scroll Series 30″ Copper Firepit =-. 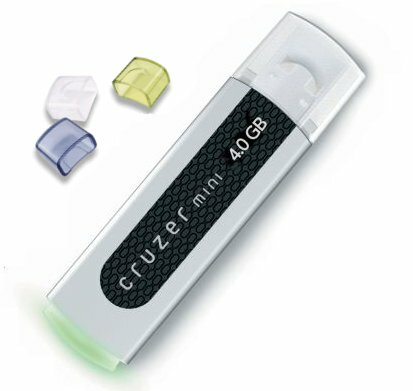 32GB is the highest capacity for the Cruzer flash drives. However, there’s an exception with the SanDisk Ultra Backup, which has 64GB. If you want a 1 TB flash drive you probably have to a) wait a few more years and b) have your wallet open up wide. The highest available capacity right now is 256GB and as you can see they are pretty pricey. I think 32GB capacity is great. I have a flash drive that is only 4GB, which is not enough for my needs. .-= irena@web hosting´s last blog post ..Web Hosting Sitebuilders =-. I really love the way the “profile” looks but it is only available in a 1G. I need at least 8G, but it just looks so cool. Maybe I’ll just get 8 of those, haha. Last week I bought SanDisk Cruzer Professional Flash Drive! Works fine! Which do you think is the best among this flash drives? I bought a 2GB Kingstone flash drive and it broke just after 1 year. Dracs, personally I like the Cruzer Contour. Its hard to say whats best though as everyone has different needs and taste. Btw, when you say “it broke” did you make sure to do troubleshooting first? 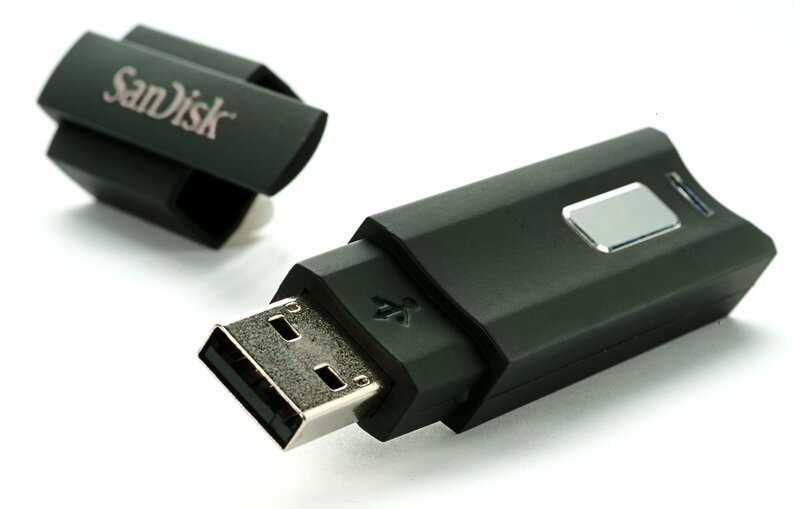 You may find my following post useful to fix “broken” flash drives: USB Device Not Recognized. I bought a Cruzer Professional for my Mac Pro but when i restart with the USB Device connected the computer hangs. Hanna, please check the link right above your comment. Hope it helps! 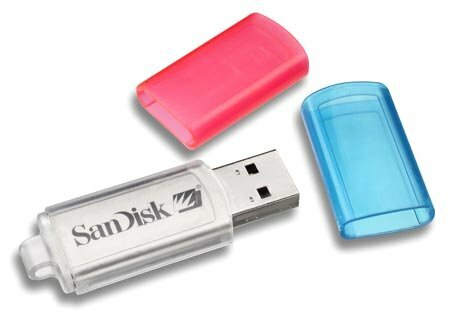 Scandisk brand is one of the flash drive products that i would prefer. I rather choose for the quality than quality. Thanks for this update. I have the exact same drive in the 2GB size. It was originally formatted to FAT and I was getting exactly the same problem as you when I attempted to write files to it. Occasionally, I could write small files, but most writing caused the I/O error to occur. Thanks a lot. Yeah really cool. I think the 32 G is optional the best! Which do you think is the best among this flash drives? Thanks wify. Indeed, changing formats such as from FAT to NTFS can be a good idea – especially when dealing with MACs. personally I like the Contour. But that doesnt mean its necessarily the best. Ever since the coming of flash disk and other multi media storage devices. I had been using this brand as I found it much reliable than the rest of brands. Aside from that its design and color really matches my personality. Technology is upgrading so fast. That’s why Flash Drive is upgrading too. I love to see all the photos on this blog because I could remember my very first Flash Disk. I have a Sandisk 8GG flash drive. Because it has NO CAP over the actual USB end I am concerned about dust and other particulate. Would you give me your opinion please? What exactly do you need an opinion on, Brien? Capless flash drives are always somewhat vulnerable. Unless the USB connector is retractable – which is most convenient. After all, even if a drive has a cap the cap can get lost. Wow this blog is really awesome for showing different type of pen drive. I like most cruzer.Involvement of young people can be handy in this regard. I am happy to find a good post here. I do not like USB without cover. What happened to me is that it often breaks down – its a little vulnerable, honest. It once happened to him with car keys and went to hell the whole thing. Sandisk products are very high quality. Their memory devices are among the best. Sandisk got very nice flash memories and also i like the different USB styles shared above. my cellphone also got the sandisk memory chip. Is it possible to write protect a USB disk? I getting this error on my USB. Hello i used this sandisk pendrive and i like its functioning and all… its fast and long lived..
Jasmin, some USB drives have write protection switches. Just switch it back to off. I use flash drives for a long time, what would I do without my flash. Sandisk always my first choice since the beginning. It last very long as my backup drive. Sandisk – the oldest and the best. I have used it for a decade and I’m very satisfied. I’ve never tried this brand yet but I think this one sounds durable. Thanks.